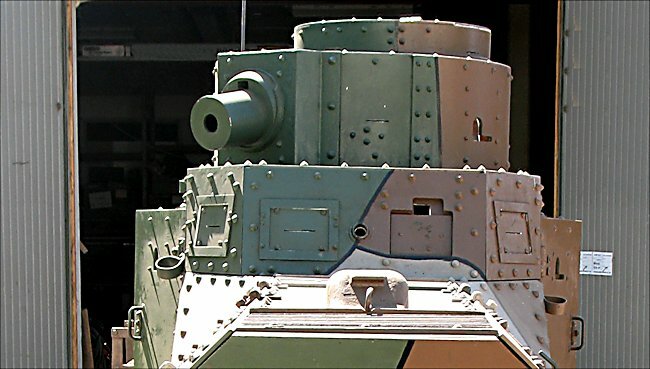 The Swedish Tank Museum Arsenalen is currently restoring the two 1918 German built Strv m/21-29 light tanks: one to a working condition, the secound will be restored externally becuse the inside is an empty shell. These photographs were taken before the mechanical restoration was started. The German Army at the end of WW1 produced these light tanks to enable their forces to take advantage of any breakthrough in the Allied line of trenches. They were called Leichte Kampfwagen LK II and had a top speed of around 16 km/h which was double that of the German A7V heavy tank or the British Mark V tanks. Unfortunately for the Germans the war ended before the LK IIs could be used in action. Under the terms of the peace treaty they had to get rid of them. In 1918 the Swedish Military attaché in Berlin was shown a knocked out British Mark IV heavy tank by the Germans. He submitted a report which helped start the search for suitable tanks to equip the Swedish Army. The big British main battle tanks were not suitable for the Swedish terrain. 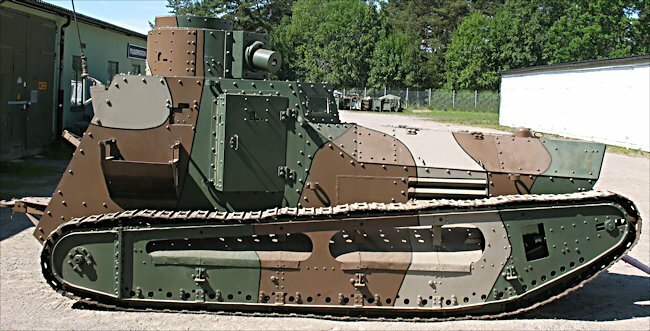 Enquiries were made to see if they could purchase the British Whippet Calvary tank but the costs of each tank was too high so an alternative was looked for. This very old tank was kept in a reasonable condition because it was used as a monument on top of a high rocky plinth in Enköping north west of Stockholm in Sweden. In the early 1960's a decision was made to move this valuable and rare tank to the Swedish Tank Museum's old premises at Axvall. It was now indoors and it was given a new lick of paint. It had survived surprisingly well. There were not many rusted sections and most of its equipment was still intact. The tank museum moved to its new premises near Strängnäs, but the two Strv m/21-29 tanks went to the museum's nearby storage facility to await restoration in 2013. The Stridsvagn m/21-29 tank being restored to running condition has the registration of number 5. All the ten tanks had a number 1 to 10 painted on the tank in four places: on the bottom of the rear crew door, to the rear of each side door on the hull and on the front of the vehicle where the slopped armour meets the upright armour at the bottom. These are clearly visible on photographs taken in the 1930's but are missing from earlier photographs. The tank had a crew of four: driver, co-driver, gunner and loader. 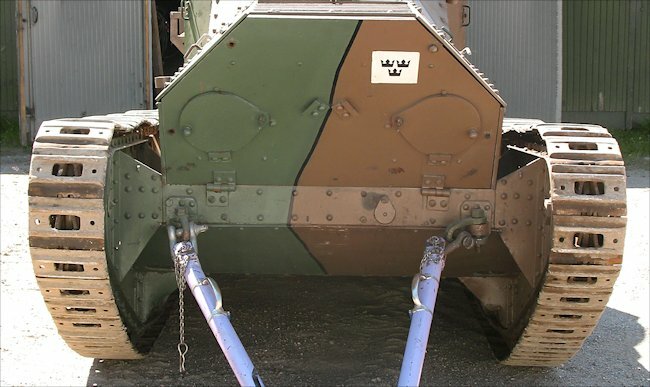 The upgraded tanks were fitted with a Swedish engine to make it easier to find spare parts. A Scania-Vabis 1544 (85hp at 2200rpm) petrol engine was installed as well as a new gearbox system. It replacing the original German Benz 1910 55hp petrol engine. It weighed 9.7 tons and had a maximum road speed of 18 km/h (2km faster than the original m/21). It was armed with a with a 6.5 mm machine gun. 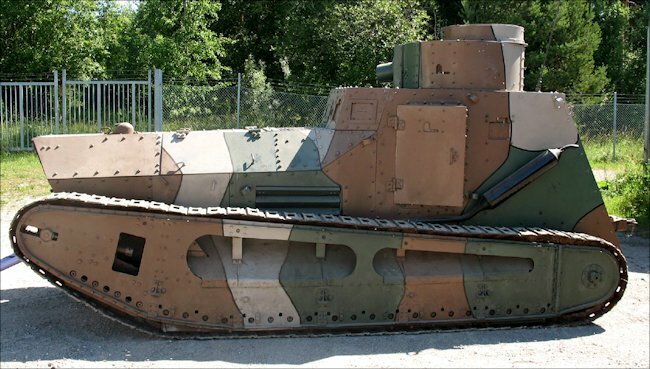 This tank was test fitted with a 3.7 cm gun from a Renault FT light tank. The machine gun was refitted after the trials. 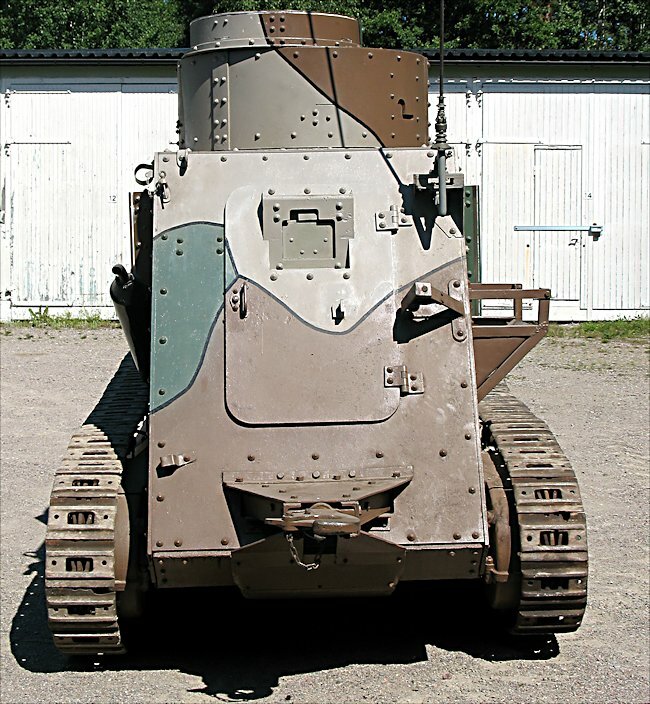 The 3.7 cm weapon never became the permanent gun in the Stridsvagn m/21-29 (LK II) tank.